Owned by former NBA All-Star Dan Majerle, this bar is an ideal location for watching sports on multiple TVs while grabbing a bite of some of the best sports bar food in town. The concept is simple: friendly employees, quality food, tasty drinks and fun times. 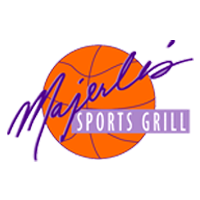 From the Slam Dunk Shrimp featured on the Food Network to Mama Majerle’s Burger, this place is a score for any sports fan!